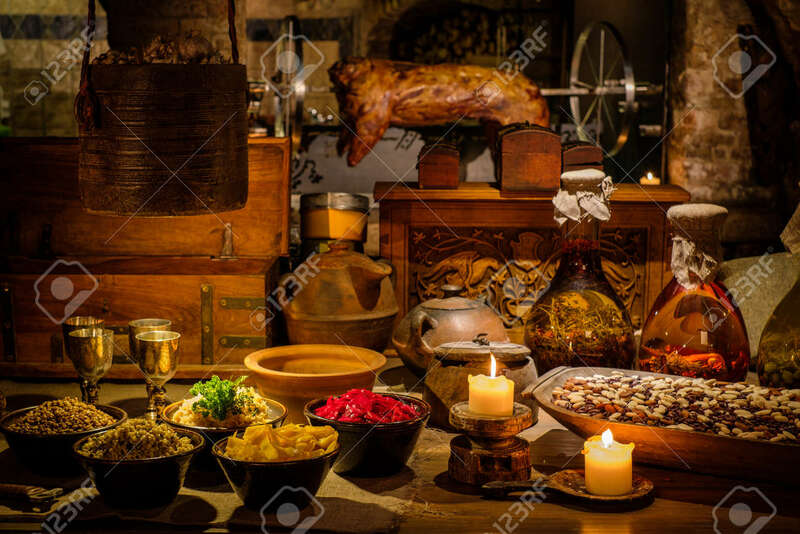 Medieval Ancient Kitchen Table With Typical Food In Royal Castle. Stock Photo, Picture And Royalty Free Image. Image 59695401.